Despite having confirmed that inmate is represented by new lawyer, the Prison Service insists on having the Court’s permission before it allows lawyer access to his client. 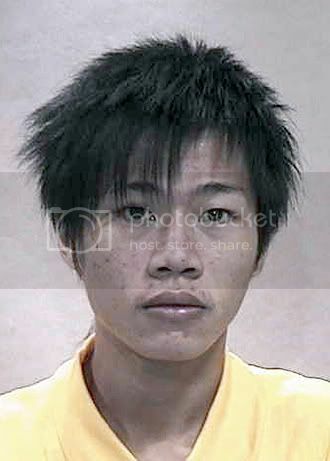 Malaysian Yong Vui Kong was arrested for trafficking 47g of heroin into Singapore in June 2008. Yong, who was 19 when he was caught, was sentenced to death after a court trial. Yong was assigned State counsel during his appeal, which was dismissed by the Courts. His only chance of escaping death is through a presidential pardon, which he has appealed for. The President has yet to decide if this will be granted. Under Singapore’s anti-drug laws, the death penalty is mandatory for anyone caught trafficking more than 15gm of heroin, 30gm of cocaine or 500gm of cannabis. On 17 November, Mr M Ravi, who is now Yong’s lawyer, applied to the Singapore Prison Service to conduct an interview with Yong, who is now 21-years old. On 18 November, the application was denied. Mr Goh Wizhang from the Prison Service (PS) responded in a teleconversation with Mr Ravi, that an approval from the Court was needed for Mr Ravi to conduct the interview. This was because, the PS said, Yong was represented by State-assigned Counsel, Mr Kelvin Lim. Earlier, Yong’s brother issued a letter of apology to the people of Singapore for his brother’s “wrongdoings” and appealed that his brother be given a second chance. About a month ago, members of the Singapore Anti-Death Penalty Campaign sent a petition, with nearly 100 signatures, to the President to seek clemency for Yong. The group has not received any response from the President’s office so far. Watch the videos of the World Day Against The Death Penalty (Singapore) forum held in Oct 2009.